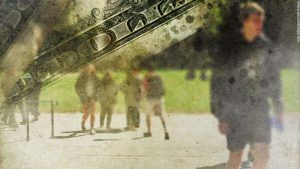 The tip that triggered the investigation into the largest alleged collegiate entrance scam ever prosecuted came from a financial executive’s last-ditch effort to squirm out of the crosshairs of federal authorities, a law enforcement official tells CNN. Tobin faced two charges of securities fraud for his role in a pump-and-dump scheme involving the manipulation of stock from two companies he secretly owned. The Securities and Exchange Commission said the stock from both of those companies was artificially inflated for Tobin’s own profit. 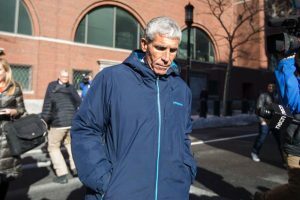 He told investigators that Rudolph “Rudy” Meredith, the head women’s soccer coach at Yale University, had sought a bribe in return for getting his daughter into the Ivy League school, the Wall Street Journal reported. The coach conspired with Singer to accept bribes in exchange for designating Yale applicants as recruits for the team, according to a court filing. Meredith couldn’t be reached for comment. Parents were also looking to guarantee their children’s entrance into schools. Singer admitted during his hearing that he told the father of one prospective candidate that he was wearing a wire and that they shouldn’t say anything illegal. “You haven’t done anything wrong yet so please don’t say anything that would be harmful to you guys because you haven’t done anything, which was absolutely illegal,” Singer said. Prosecutors said in court that Singer had warned several clients that if they received a call from him, it would most likely be recorded.